Summer is a time for outdoor play, backyard gatherings, and family fun. Host barbeques and parties in style on a brand new, quality-assured deck. After all, wood decks make a backyard even more inviting in the warm weather months while offering a safe space for children to play. In fact, there aren’t many exterior home improvements that match a deck for usefulness, visual appeal, and enhanced home value. At Premier Fencing, creating the right wood, vinyl or composite deck for your outdoor space is easy! 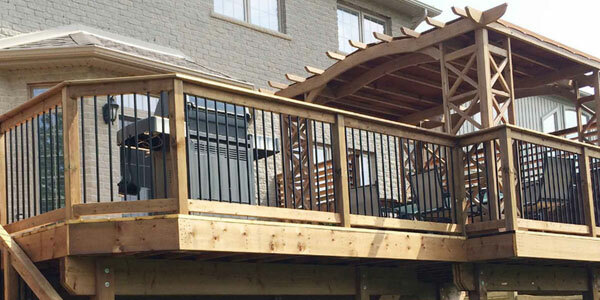 Free estimates and friendly expert guidance make choosing your Kitchener deck layout and design a breeze. 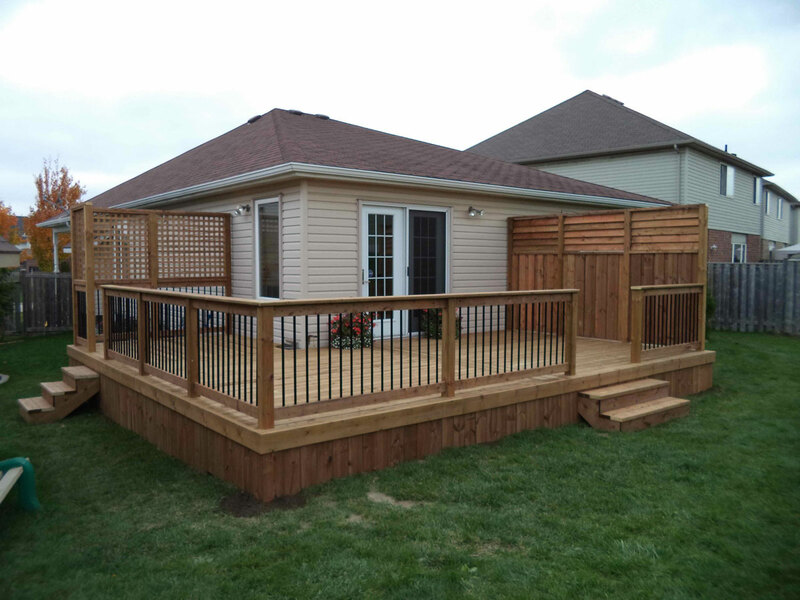 Premier Fencing & Backyard Solutions are your source for decks and fences in the Kitchener/ Waterloo area and across Southern Ontario. Our expert staff bring with them 90 collective years of experience so you are certain to get a top quality product, within the budget you set. 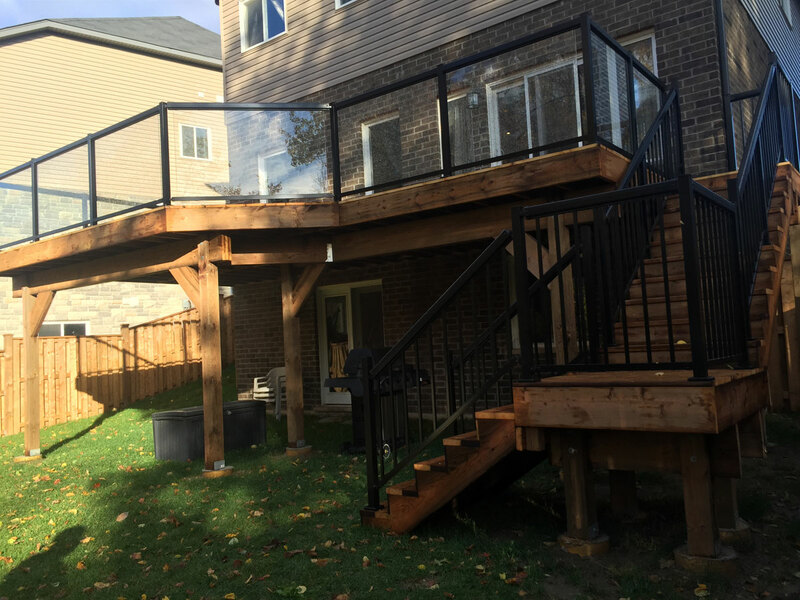 Choose from a wide range of add-ons, from glass railings to in-floor lighting and then put your feet up and rest easy, on your brand new deck, knowing you’ve made a solid and reputable choice with Premier Fencing, a family run business specializing in deck building in Kitchener. Premier Fencing & Backyard Solutions has made a commitment to quality. For 90 years the Boyer family has been serving homeowners in Kitchener, Waterloo, and across Southern Ontario. The family and staff take personal pride in the reputation they have built over the years and they pledge that all customers will be satisfied. Company partner Daniel Bower (Deck builder, Kitchener) says: “I pledge you will receive the best value for your money and service second to none. 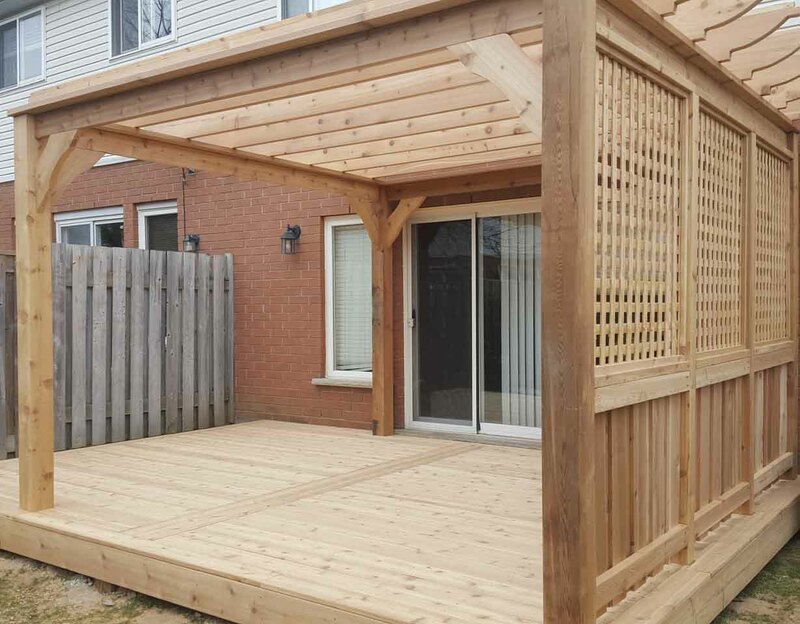 We will provide you with only the highest quality materials in the industry and offer a full two-year warranty on all of our work, so you can have peace of mind.” If you’re looking for the perfect deck builder Kitchener, look no further. And if you’re looking to further accent your backyard space, have a browse at Premier’s online selection of DIY structures, screens and fences. From planter boxes and garden swings, to privacy screens and pergolas, Premier Fencing & Backyard Solutions offers quality products at competitive prices. 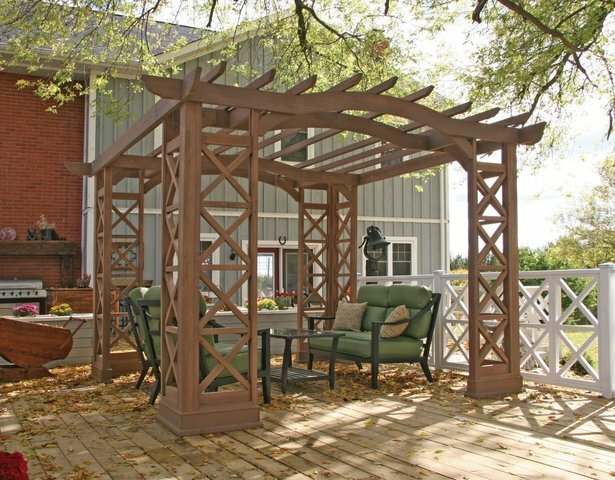 With yardistry components, customers can create structures that provide shade or define outdoor living space. They can make screens that bring delineation to an area of interest or filter a view; and fences to create privacy and further enhance the garden`s natural features. With fifteen SKUs, the designer is provided with ultimate flexibility, style, quality and craftsmanship that is sure to enhance any landscape. From new wood decks to backyard accents, Premier Fence & Backyard Solutions is your one-stop-shop.